We are one of the most preferred High Temperature Furnace Manufacturers In Mumbai. Meta Therm Furnace Pvt. Ltd is a name that has become synonymous with top-quality furnaces in India and abroad. 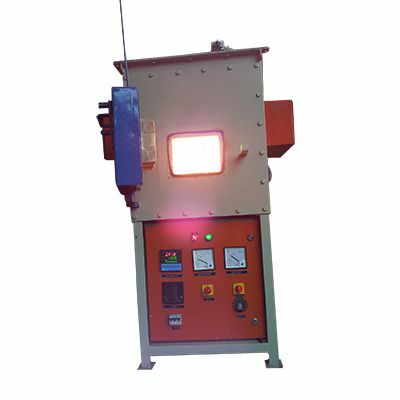 We offer these high-temperature industrial furnaces in different sizes and capacities. As not many materials can handle extremely high temperatures, we manufacture these with highly durable material sourced from the most trusted vendors of the country. Engineered for longevity and ease of maintenance, these units provide uniform heating to the metal. Our company also offers the option of customization to suit your specific requirements. Excellent Temperature Uniformity - These are known for their excellent temperature uniformity, which ensures optimum heat treatment of the metal. Different Capacities - Our products can be availed in different capacities depending upon your industrial requirements. High-Temperature Bearing - You can expect extremely high-temperature bearing capacity from our units. Our company is noteworthy among the most reputed High Temperature Furnaces Exporters and Suppliers in India. Get in touch with us to discuss your requirements with our experts, and we will deliver the product within a few days.